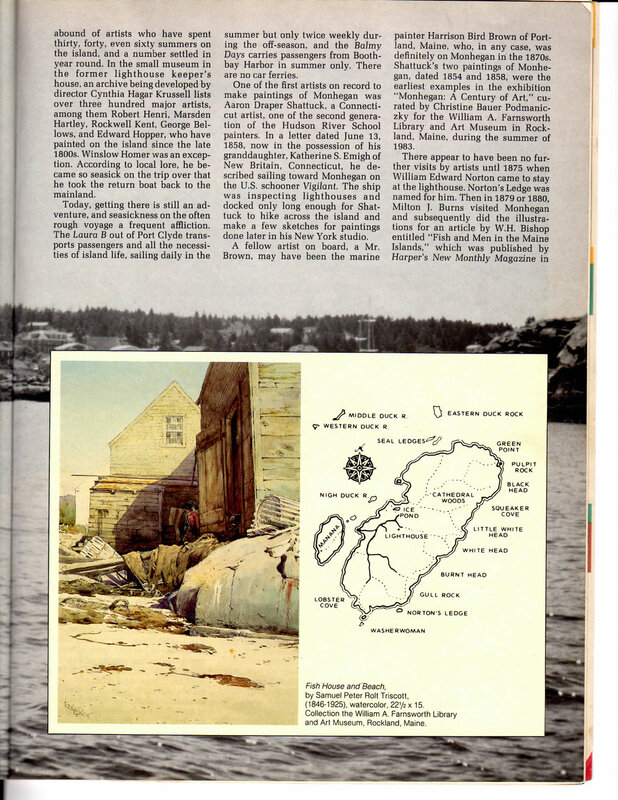 This article, while written over 30 years ago, still gives a great sense of what Monhegan is about. 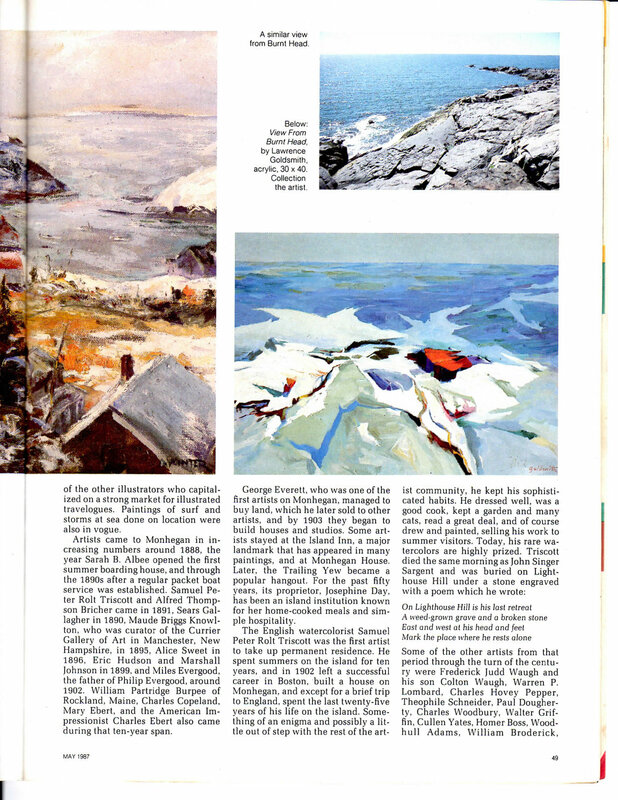 This is one of the most informative articles written about the history of Monhegan's artists. 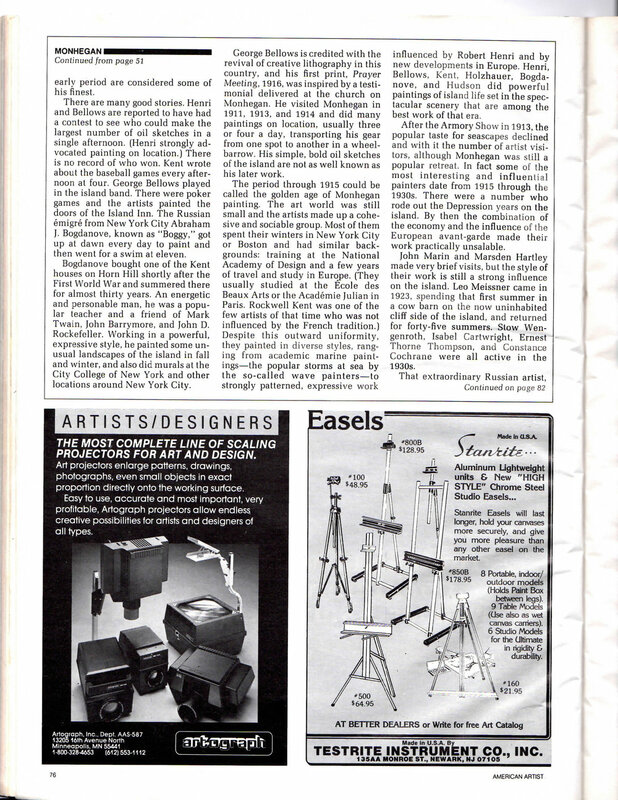 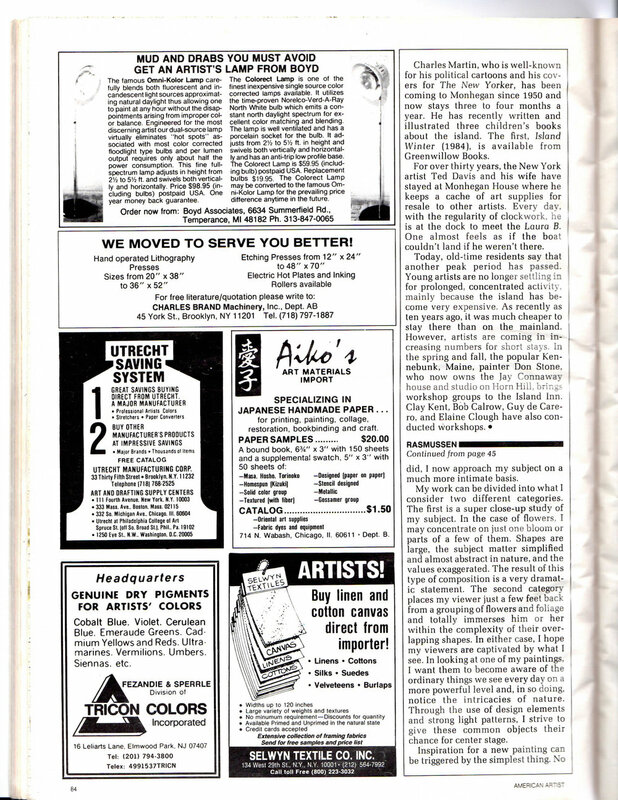 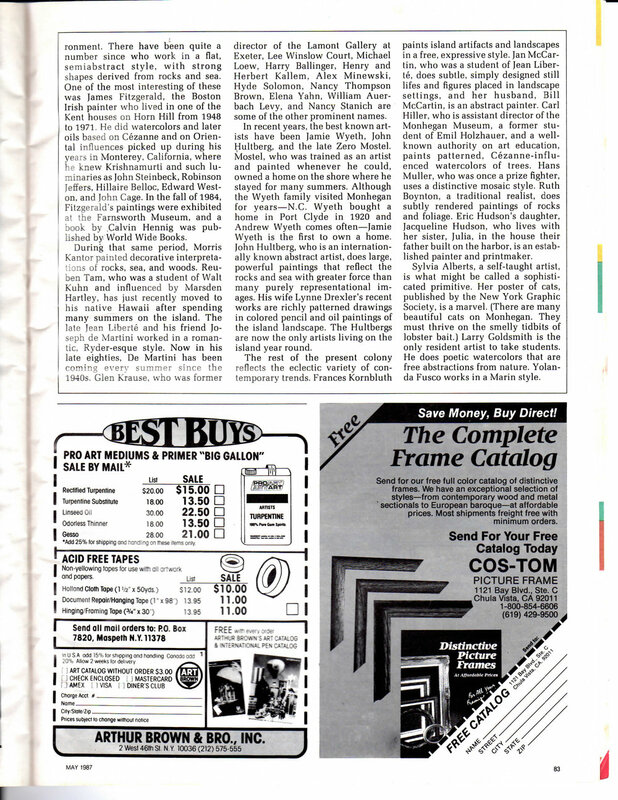 While things have changed greatly since this article was written, in some ways, not much has changed. 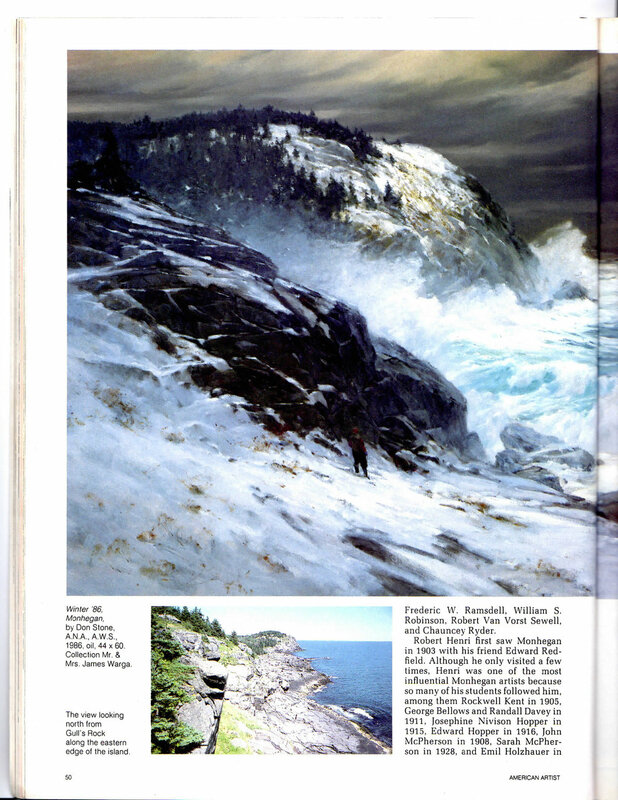 The year round population of fisherman is now closer to around 30 and the lives of artists and people who live and visit Monhegan has changed, but it is still the same rustic village, rugged trails and beautiful place that artist Robert Henri first visited in 1903.